We won the battle but are losing the war. As much as anyone I’m thrilled that Matisyahu performed “Jerusalem” at the Rototom reggae festival this past Saturday night in Spain. Organizers had to apologize and re-invite him after they cancelled him. 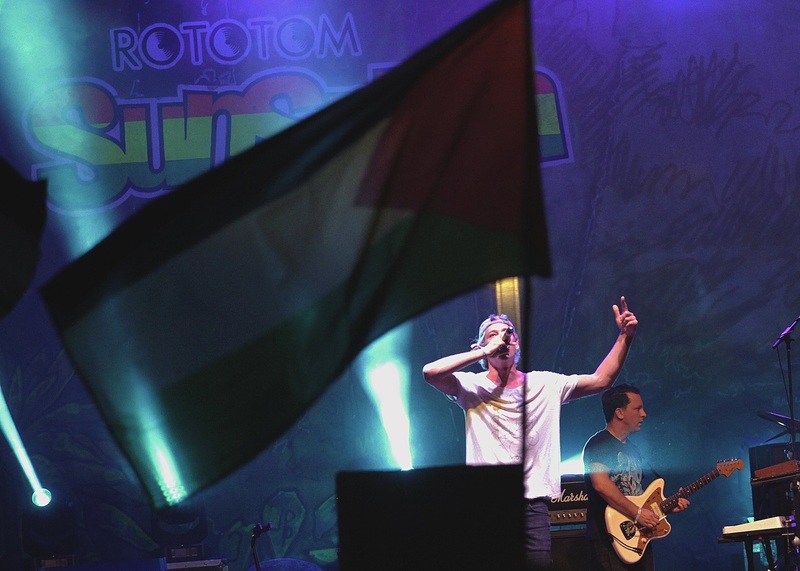 The cancellation was precipitated, according to the festival director, by radicals from BDS who convinced organizers that Matisyahu must submit a public condemnation of Israel and Zionism in order to perform. It’s cynical nasty stuff. It’s inquisition-esque. Don’t believe the festival director that he cancelled Matisyahu over fears of a seriously disrupted festival. After he contacted Matisyahu, the director would settle for nothing less than a pro-BDS, anti-Israel video or statement according to my sources. It wasn’t just support of a Palestinian state they wanted. They wanted Matisyahu to disavow Israel. Matisyahu refused to submit. So they cancelled him in a disgusting and public manner. But racism wasn’t going to win – at least this time. Matisyahu is no more in control of the destiny of Israeli-Palestinian relations that you reading this article. He’s a proud American Jew and he was targeted because he’s a Jew. Did the organizers question the gay-hating reggae singers about their political views? Did the submit the other artists to political and social litmus tests? No. Only Matisyahu was singled out because he’s a Jew. While the Jewish community, fans of Matisyahu, and anti-racism and anti-BDS activists are celebrating this victory, we must realize this was still in the long term a victory for BDS. European festivals next summer are going to think twice about booking Matisyahu. Not Poland which is hosting him again for multiple shows and has been for several years. (Respect!) But Western European festivals in countries with active anti-Israel movements (I think that’s every country) will consider this incident before signing the most publicly Jewish musician in the world. I’m not surprised that major Jewish artists haven’t come forward to support Matisyahu. In the world of music the money is in touring and famous Jewish musicians will be concerned to be targeted themselves. Better stay quiet it seems. This episode in the BDS battle against Israel, amid growing European anti-Jewish racism, will have a lasting and negative impact on Jewish musicians who want to perform there – let alone Israeli musicians who will find getting booked increasingly difficult in Western Europe. As much as I want that to not be true, as much as I believe that Matisyahu’s inspired performance was a victory for justice, we must face the grey future of uncertainty as racism and anti-Israel fervor spreads on the continent that 70 years ago exterminated most of its Jewish population. Stevie Wonder’s statement on why he ditched the FIDF banquet sounds like he is being impartial. Yet, a real impartiality would be to play for both audiences. The fact that he cancelled is a victory for Israel’s enemies — and a major dis to Israel. Given the current and very delicate situation in the Middle East, and with a heart that has always cried out for world unity, I will not be performing at the FIDF Gala on December 6th. I am respectfully withdrawing my participation from this year’s event to avoid the appearance of partiality. As a Messenger of Peace, I am and have always been against war, any war, anywhere. In consistently keeping with my spirit of giving, I will make a personal contribution to organizations that support Israeli and Palestinian children with disabilities. Hoping for one world, one people, one day, Stevie Wonder. Stevie we are all for world peace. Count me in. But this move is a sucker punch, a coup for BDS, and will not advance the cause of peace one iota. And as a Detroiter, this just got personal.